Homebaked cookies are so much better than the packaged varieties. Make them more often, make them more convenient. 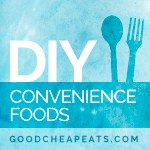 When I think of convenience foods, one of the most common that comes to mind is that of refrigerated cookie dough. What a boon to home cooks! Buy the dough already mixed, bake it up, feel like a rockstar. I’ve known realtors to throw a few into the oven before a showing or open house in order to “stage” the event. 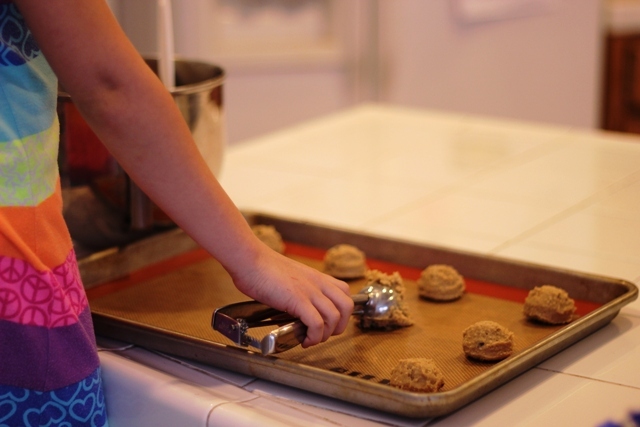 Clearly we love the aroma of home baked cookies, even when the dough is prepared elsewhere. But, making cookies from homemade that beats the store version flat. How can we make cookies more convenient? Let me count the ways. 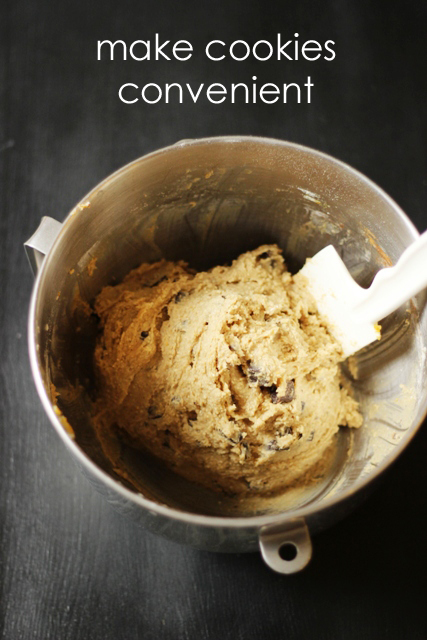 There’s no rule that says you have to bake the dough right away. In fact, many of my cookie cookbooks say that cookie dough is good for several weeks, well wrapped in the fridge. I’ve not tested how long to keep it, but I’d use it up to a week later. Wrap airtight and chill in the fridge. I’ve frozen the dough for longer storage. 2. Freeze cookie dough balls. 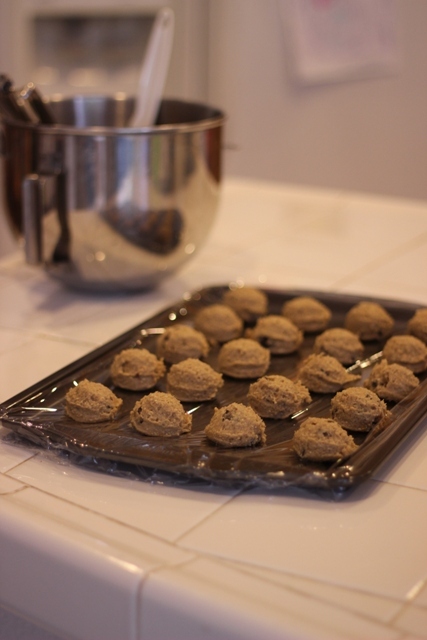 Cover a tray with cookie dough balls and freeze until they are firm. Package the frozen balls in a ziptop freezer bag and store in the freezer. Bake them from frozen, adding a couple minutes to the cooking time, if necessary. Bake the cookies and cool them completely. Once cooled, wrap tightly and store in the freezer until ready to serve. 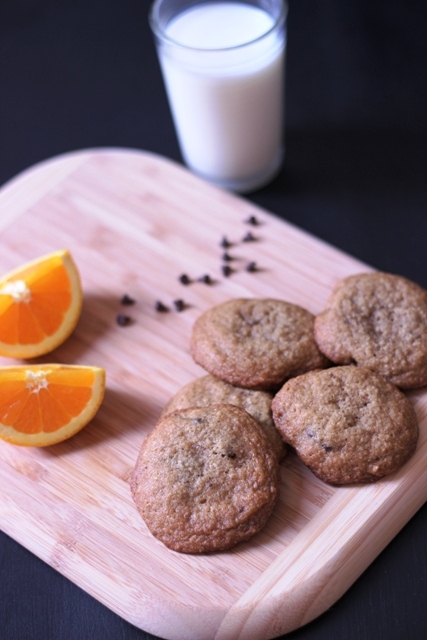 Cookies are easy peasy delicious and very simple to make as your own DIY convenience food.